Buildbot is a continuous integration (CI) system for build and test automation. It is successfully used by many well-known projects such as WebKit, Chromium and LLVM. My particular interest in Buildbot is in using it for building and testing AMPL solvers on different platforms. While the Buildbot documentation is good in general, information about installing this CI system in Debian-based distributions is somewhat spotty. So in this post I am going to give minimal instructions for setting up Buildbot 0.8.5 in Ubuntu 12.04. These instructions will give initial working configuration with buildmaster and buildslave daemons automatically started at boot time. 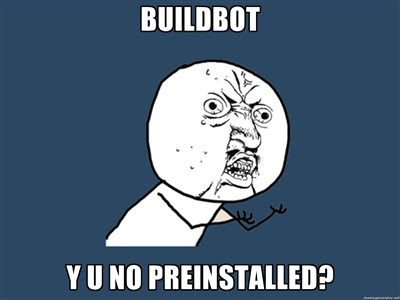 The Buildbot will be available at localhost:8010.